During the summer, your air conditioner must be kept well maintained at all times. If it fails to operate, you and your family are deprived of the comfort and security that you expect and deserve within your residence. If your air conditioner at your commercial property breaks down, your business will be less productive and profitable. At Precision HVAC, our Saugerties air conditioning contractors are here to help you with any such emergency. We proudly provide emergency AC services to all of our customers. Call Precision HVAC today if you need to hire a professionally licensed air conditioning contractor to conduct emergency repairs at your home or business. Our staff is available around the clock, seven days a week in order to help our customers. Our experts are ready and eager to assist you in any way that we can. As always, your satisfaction will be our highest priority. When your air conditioner breaks down during the height of the summer, the problem can be so bad that your property becomes entirely unlivable. Unfortunately, air conditioning failures seldom occur at a convenient time. As such, it is important to know whom you are going to trust your comfort system with when it inevitably has a problem. 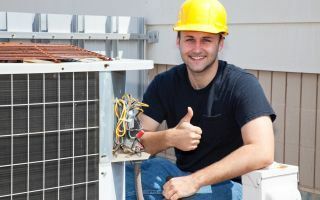 At Precision HVAC, our Saugerties air conditioning technicians have the knowledge, skill, and experience necessary to repair all major problems with conventional comfort systems. We are always available to address any air conditioning emergency. We will respond immediately to your call. Our technicians will work tirelessly until comfort is restored to your home or business. You can always rest assured knowing that our team is on call for you. At Precision HVAC, our Saugerties air conditioning company refuses to cut corners in anything that we do. Other companies do the bare minimum in order to get air conditioners up and running again. However, they leave behind minor problems and inefficiencies that can compromise comfort and lead to further issues in the future. When you hire our professionals for your emergency AC repair needs, you can feel confident knowing that our technicians will provide you with the highest quality services possible. We will restore comfort to your property and troubleshoot your HVAC system for any and all problems. Our technicians will then resolve each and every issues. After our efforts, your air conditioner will be in the best condition possible. If you need to hire a professionally licensed air conditioning contractor in Saugerties who provides emergency AC services, call Precision HVAC today at 845-399-0669, or fill out our online request form.